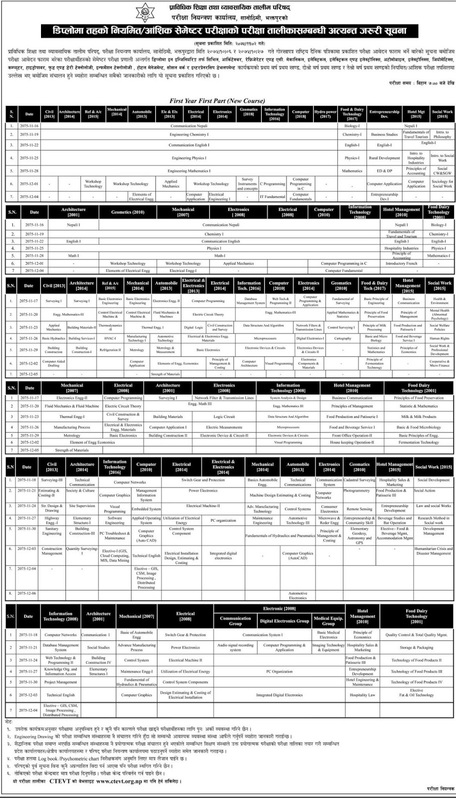 Council for Technical Education and Vocational Training (CTEVT) has published an urgent notice of Diploma level (regular and partial) semester system examination schedule. The examination for all the Diploma level programs are going to be held from Falgun 16, 2075 (January 30, 2019). The examination time is from 7:00 AM onwards.